I was able to snag “Free” dining for our upcoming Disney World vacation! I literally pulled an all-nighter to be among the first to catch this deal. It was intense! Guess who hung in there with me? My sweet Jayden Baby. We even ordered pizza at around 11PM. Disney released the free dining promotion at 3AM CST, and the package offerings were extremely limited. I actually have changed my resort/package 12x, and yes, you have to pay a $200 deposit each time. It’s refundable, of course, but you can only imagine what my statement looked like with me changing multiple times daily. I actually think I may be more excited about the trip than the kids. Whenever RaShad is bored, he asks, “Can I watch Disney World stuff?” My face lights up! Music to my ears lol. I’ve also purchased him a few Disney World books as well as our continued Disney movie nights every Friday. By the time September rolls around, he is going to be extremely knowledgeable about Disney and the characters. Another way I plan to save money is by giving the kids Tinkerbell gifts (also will help with behavior). Whenever I see something Disney themed, specifically with Mickey Mouse, I purchase it. I’ve found amazing deals from Party City, Target (dollar spot), and Dollar Tree. I’m hoping the kids will get these gifts and not feel the need to buy so many souvenirs. I do have a few gift cards left over so they will each get $50 to spend on whatever they want. It’s no surprise, Disney is NOT cheap. Nevertheless, I believe it’s something everyone should experience at least one. My family is preparing for an 8 day, 7 night vacation to Disney World this September. It is a lot of work. The amount of time and energy it takes to plan and research is insane! By switching from Google to Bing, I earn points every time I search (which is a lot!). The points earned can be used to redeem for Bing rewards. I currently have enough points for $70 worth of Amazon gift cards. I can then use those to buy supplies for the trip and a T-Rex cafe gift card. Speaking of Amazon, if you get an email to fill out a survey regarding a customer service interaction, fill it out! You earn $10 every time. I currently have $20 worth….so $90 total for Amazon. Ibotta is an app that allows you to earn cash back on certain purchases. You can download the app to your phone. Within the app, you can see items that will give you cash back if you purchase. You can also enter the store you are going to visit, for example, Kroger. If there are any eligible items at Kroger, they will appear. Here’s the very small catch, you have to unlock the rewards. So if you purchase a gallon of milk from Kroger and Ibotta is offering .40 cash back, you may have to watch a brief ad to unlock the .40 reward. Once completed, you submit a copy of your receipt as proof. How easy is that? Within our schedule, we have a rest day where we are not going to the park. Instead we will visit downtown Disney and hang out at the resort. From my research, I decided T-Rex cafe would be the perfect restaurant to have lunch that day. The Landry’s Select Club membership is $25, but you get it back almost immediately with a $25 welcome reward. You also receive $25 during your birthday month, among other perks. We’re already going there so why not get the membership and reap the rewards? When we get to Disney, we’ll have the $25 credit. I also purchased a $25 T-Rex cafe gift card from Amazon (using my credits). That’s one meal already taken care of, and I only spent $25, which I will earn back. I actually do not have a Red Card yet (I know, I know). I JUST went to the bank today to get blank checks so I will get one on my next Tarjay visit. There are two options: a credit card and a debit card. I definitely don’t need anymore credit cards so the debit card is my only option. It links to your checking account and pulls the money from that account for your purchases. The perk is you get a 5% discount, even on Disney gift cards! Target considers Disney gift cards “entertainment” cards so they are included in discounts regular gift cards are not. 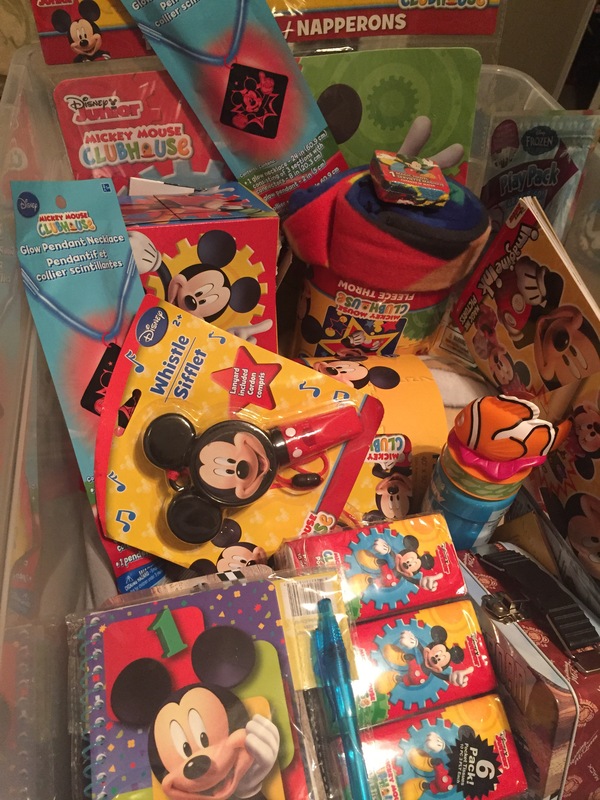 The extra 5% can go to the Disney savings account or towards Disney gift cards. Here is an even better deal! RIGHT NOW (until March 1st), HEB is having a Disney gift card promotion. You get $20 off a $100 gift card! The best part is this deal is unlimited! You can purchase as many cards as inventory allows. HEB has since changed the terms, making this offer limited to one per customer. Please note you need to download the digital coupon using the HEB app in order to redeem this offer. **Update: I went to HEB last night (and this morning) and purchased a total of 30 $100 gift cards. I combined the values using DisneyGiftCard.com, putting $1,000 on each card. I then used the cards to completely pay off my trip! This was the best option for me as the 20% savings were more significant than if using Undercover Tourist (my original plan) for the tickets, and I also really wanted to stay on property since this will be our first visit. 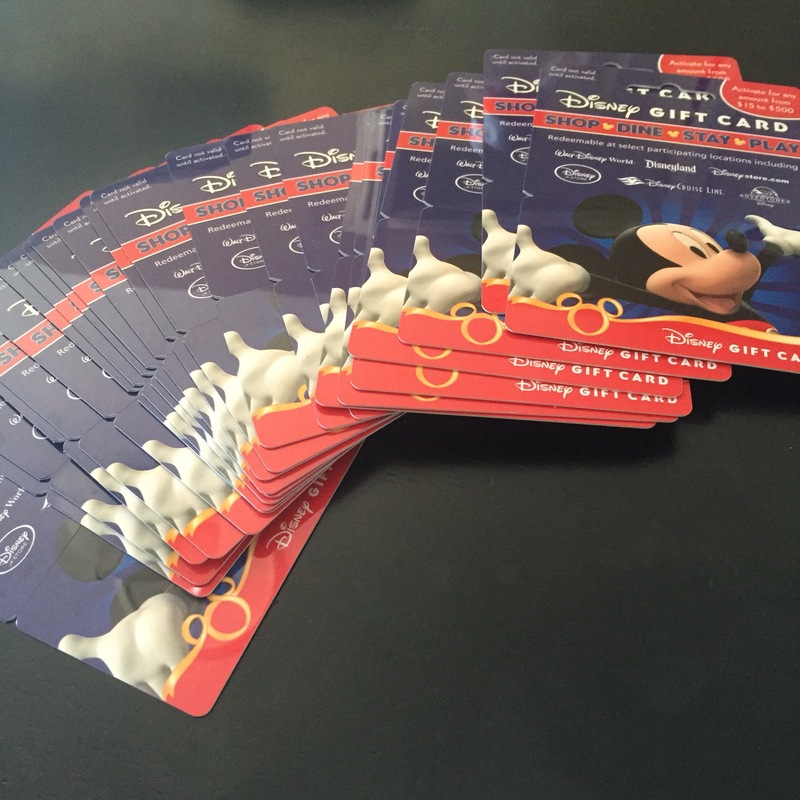 I only put $1000 on each card because that’s the maximum value, and when in case Disney releases discounts for our stay, I can only get $1,000 max back on the gift card). For the past several years, Disney has offered free dining AND room only discounts during the week we are going so I’m hoping for an additional discount. These discounts aren’t released until April or May, however. Gas near my office is about 20 cents less than gas in the neighborhood where I live. Murphy has the cheapest gas in the most convenient location to me (I won’t drive out of my way to save on gas). On top of the 20 cent savings, I get an extra 3 cent off per gallon by using a Walmart gift card. Right now, $25 a week on gas is fine for me so instead of using my debit card to make that payment, I load the money on a Walmart gift card to get additional savings. (I filled up this morning and only spent $19 btw). I’ve been doing mystery shops for about 4 years now, and I love it! I’ve done everything from amusement park to 4 star hotels to restaurant visits. There are a lot of scam companies/sites out there so do your research. I recommend starting at JobSlinger first. Jobslinger is a job board site. You can create a free account and view the available shops in your area.Once you identify a shop you like, you can then see which company has the assignments available and apply directly. Payment varies depending on the company and type of shop. Because of my contract, I can’t reveal too many details, but my top companies are Sutter Marketing and National Shopping Service. I am registered for dozens of companies, but these two offer the easiest and less time consuming shops. If I’m already planning on taking the boys out to dinner, why not sign up for a shop and get my meal free plus some extra money? You basically just fill out a survey (could be a few questions or insanely long narratives) and get paid for your honest, feedback. Some companies pay via check and others only use Paypal. If you have a question about a specific company, shoot me a message and I can comment. Lastly, I have been making freezer meals for about a year (and I eat out less frequently). Freezer meals have changed my life! They save me soooo much TIME and money. Food is such a huge, manageable expense. I budget $200/mth for a family of four. This amount includes all household items. I shop sales and coupon to buy items in bulk. I literally stalk Slickdeals & Brad’s Deals to save money. Amazon and Target seem to consistently offer the best savings. All of these things add up and will help keep more money in my pocket! Only 206 days until Disney!